If you are looking to work with a local Tulsa weed control company that will do far and above better than those national companies that look no further than Greenleaf Lawn Care. We specialize in Tulsa weed control and making your lawn looked beautiful which in turn makes your home even look lovelier. If you are looking to have your lawn taken care of by the best professionals around you have come to the right place because we have a great knack for quality and we offer it at an affordable price. All you need to do is pick up the phone and give our turfs enhancement engineers a phone call at 918-640-6405. We specialize in really taking care of your lawn and making it look perfect no matter what day of the week you look at it. By using our weekly lawn maintenance package we will do a professional mowing and edging job that makes your lawn looked great. You’ll be able to tell the each one of our team members has a passion for making your lawn look professional. 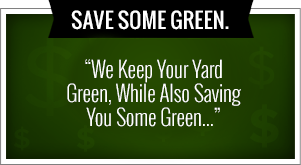 We are devoted to helping you create a lawn that you are able to show off to your friends, family and neighbors. Unlike most Tulsa weed control companies we are able to help you with your holiday lighting what is time for the Christmas lights to go up. We have found that 99.999% of all people despise putting up Christmas lights. This is a rough estimate but we have found that it’s very close to this percentage. The biggest problem with people putting up Christmas lights is finding the perfect day to do it. It makes it difficult to put up if it’s too windy, or too cold, or too hot or other weather-related issues. If you win the lottery and matchup that perfect weather day to a day that you actually are free you still have to deal with having a majority of the lights not working. When you get in this position you have the option of doing two different things. One, you get so frustrated because you just buy a new lights last year that you throw them in the trash and head to the store to buy new ones. To be try be cheap and take that replacement light bald and try it in every socket of that 300 bald strand until you get to the end and find out that it’s still didn’t make it work. And everybody has found out that no matter how much you spend on Christmas lights there is always problems. When you get a strand to actually work you then have to deal with balancing the ladder and trying to hook those awkward clips into your gutter and onto the lights. It’s not a surprise that nobody enjoys doing this. But that is where we come in because we have found those few people that enjoy doing this and are able to help you design, install, remove and store your Christmas lights so you will be all set for the years to come. We would love to be able to help you with this and take some of the stress away from you. If you’re looking for the best Tulsa weed control around you need to give Greenleaf Lawn Care a phone call at 918-640-6405. 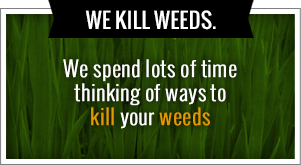 You’ll be getting all the things that you will need in a Tulsa weed control company. You will get the best price, the best customer service, the best product and you will also get to keep your money local. With most national companies when you pay them the money goes to some rich guy on the other side of the United States that has never mowed his own lawn in his whole life. When you work with us you are giving your money to hard-working Tulsa residents that will in turn put their money back into our own community. Right when you give your money to the national companies that money is out of our community instantly. We all understand that there are certain things that are hard to keep local that you purchase but when we can offer you a better product, a better price, better customer service and we are able to keep it local we asked that you give us a chance to show you what a great job will do on your lawn. Our goal is to always over deliver and wow the customer. We love seeing the looks on our customer’s faces as they watch their beat up lawn turn into something amazing that looks like it should be on the cover of a magazine. With our weekly lawn maintenance package will be able to keep your lawn looking great the matter what day the week you pass it by. This is the type of lawn that your neighbors will be jealous of and want to copy. You’ll find yourself having more events at your house that you did before just to show off your amazing grass. You may find yourself walking barefoot more often because you didn’t realize how nice grass connection feel on your feet when you have always had to wear shoes with your other Brown, brittle grass. You can feel better about your kids playing in your yard because it almost looks like a scene from a movie. We have an amazing six step Tulsa weed control program that will help eliminate your weeds and get your grass looking amazing. We use the herbicide application and fertilizer and many other proven methods that will get your grass as green as possible. In Oklahoma there are a variety of different weeds that are native to the area that can totally wreck your lawn if you do not take care of them quick. We do not want you to fall victim to you nasty weeds. You need to get proactive and higher Greenleaf Lawn Care to take care of those needs and we are sure that you will be glad you did. Our current customers always are singing our praises because they didn’t think their lawn could look as great as it does now. We do get angry calls from all of these people neighbors because now their lawn looks worse than their neighbors. The good part is that we are able to help their neighbors get there grass to blend in and match their neighbors would had their lawn already treated and taken care of. Our goal is to have everybody’s lawn in Tulsa blend in and match together and look amazing. It may sound like a lofty goal when you offer in amazing product and service like this anything is possible.